We specialize in pre-owned quality Sailing Yachts, Motor Yachts, Cruisers, Chinese Junk Boats, Speed Boats, Jetski’s and even Houseboats / Liveaboards all with MOORING and BERTH options. 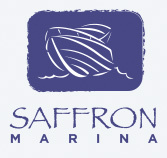 Saffron Marina is here to make finding and owning a Boat or Yacht in Asia including Hong Kong, Malaysia, Thailand and Singapore easy. With the largest selection of quality vessels to fit everyone’s budgets, we can help you at each stage to get you on the water having fun. 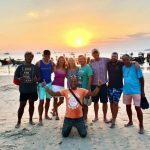 We focus on Boats for SALE in ASIA with our Head Office in Hong Kong but have global connections with agents from all over the world to find you the boat of your exact specification. Our expertise include services to assist you with insurance, maintenance, skippers, coxswains and deckhands, mooring, berths, dry storage and debentures of leading Hong Kong Marina’s.